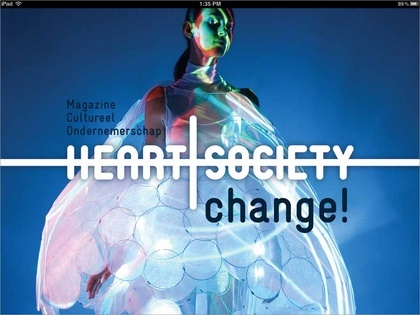 Heart & Society, a magazine published bij Cultuur-Ondernemen, switched from paper to the web. You can now find inspiration on the subjects of art, design, technology and cultural entrepeneurship in a lean web-app. The app has been designed to be effortlessly used cross-platform and on any (mobile) device. In it, you can find stunning photography, video, leading articles and more. The switch to web has another plus: the user-friendly CMS allows Heart & Society Magazine to publish multimedia and articles anytime, anywhere. Complex material and content is now easily handled, published, and available to everyone in little time. The web-application has been developed by Visualspace and you can find it here: heart.cultuur-ondernemen.nl More info on Heart & Society Magazine is available here: http://www.cultuur-ondernemen.nl Happy reading!